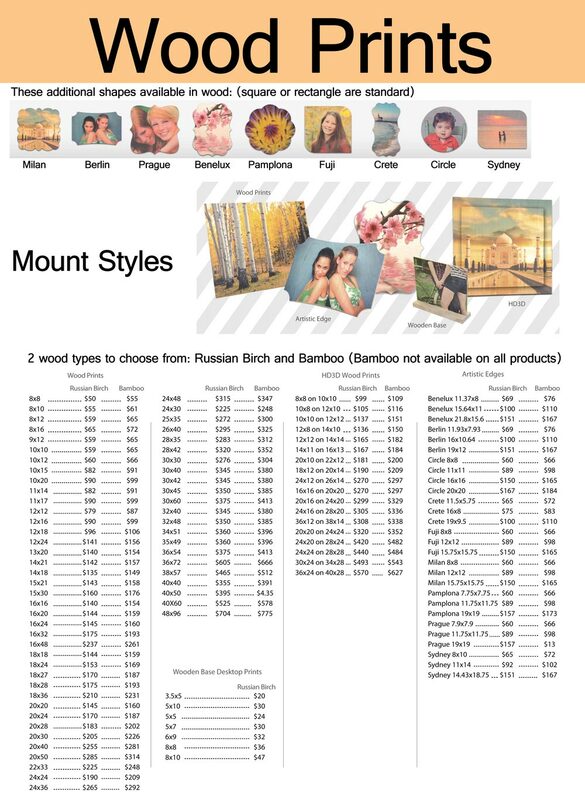 Stop in to check out these AWESOME print products! 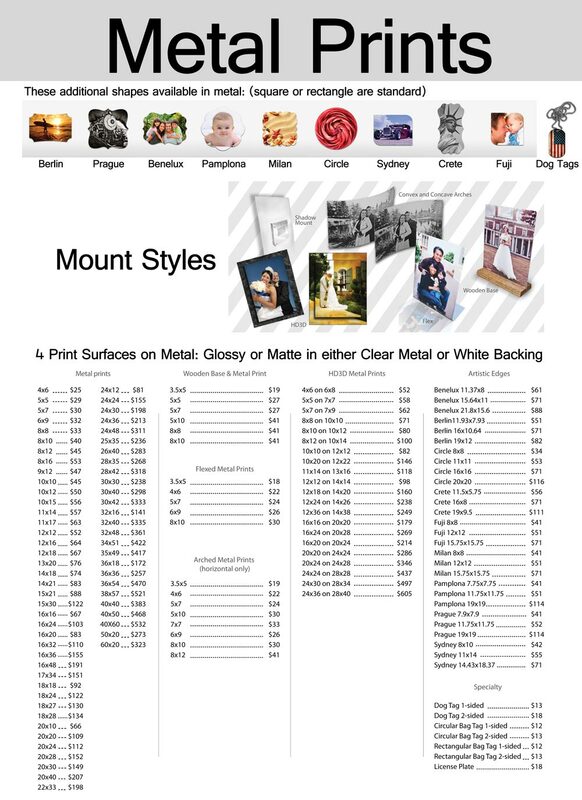 Metal Prints feature your image printed directly on to a piece of aluminum. The clear base allows the shimmer of the aluminum to show through any white or light areas – perfect for landscapes, flowers and more. The white base gives your images a clean crisp look with vibrant colors – this is great for images of people or landscapes. Protected with your choice of matte or glossy finish. Assorted display options available. Also available in shapes other than rectangle or square. Wood Prints are the upcoming awesome print product. Printed directly onto Russian Birch or Bamboo, these have a charm and warmth from the wood and the wood grain that shows through the image. These are best for landscapes and non people images. You can print have your portraits printed on wood, just know the wood grain and patterns will show through on the lighter areas. To order please call or stop in today!